Simply fill out our form below, and a mortgage expert will respond to you ASAP. Location, location, location. If you can dream it, you can make it a reality. With our Dream Home Renovation program, you can buy the property that needs some renovation. Save time and money by financing the purchase with the cost of the repairs included in your mortgage. 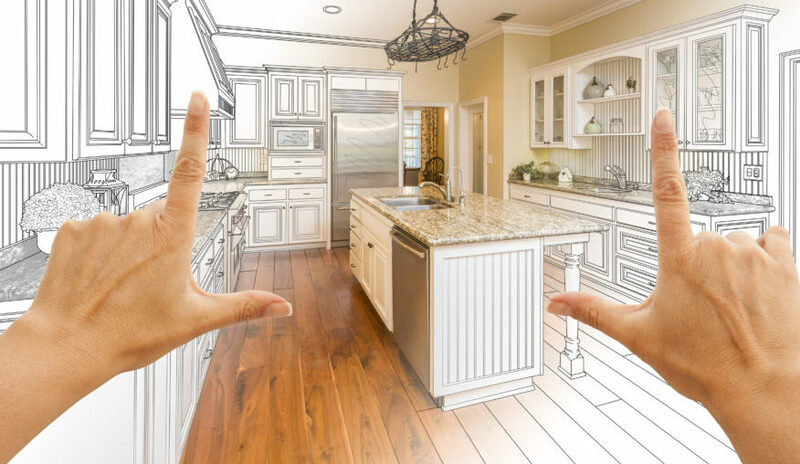 Renovate the kitchen, add a garage, knock down a wall and change almost anything about a house with some tools and a paint brush… everything, that is, but the location of that house. Next to location, one of the biggest considerations when purchasing a home is the condition and costs to alter the home so that it is clean, safe and can accommodate a buyer’s needs. Often times the location is ideal, but the condition of the home is in such disrepair it leaves a buyer settling for a home that costs less to change, but is also in a less desirable location – this could be a busy street, a smaller lot, lower ranked schools, or farther away from their work. With Options Financial’s Dream Home Renovation program, you can acquire the financing to purchase a home in your ideal location with the funds to renovate, remodel, repair, rebuild, or simply update. The Dream Home Renovation program is the key that allows all home buyers the option to transform an existing, for sale home that needs a little bit of #TLC, to the desired home in the ideal location. While this allows buyers to expand their opportunities when it comes to finding a home, and promotes faster sales, this program additionally allows home buyers to experience a greater satisfaction of options with their home. A home is where you live! It will be where you will ultimately spend most of your time, raise your family, and create memories. Let us at Options Financial provide you with the Power of Knowing all your options and help you get into your dream home in your ideal location.